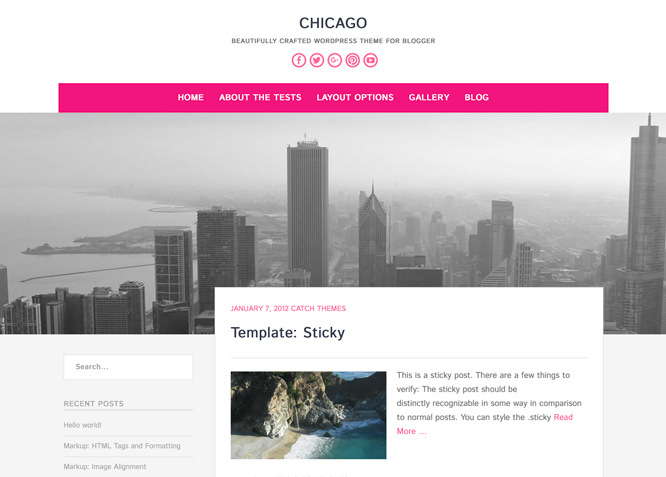 Chicago is beautifully crafted WordPress theme for Blogger with flexible and customizable theme customizer options. 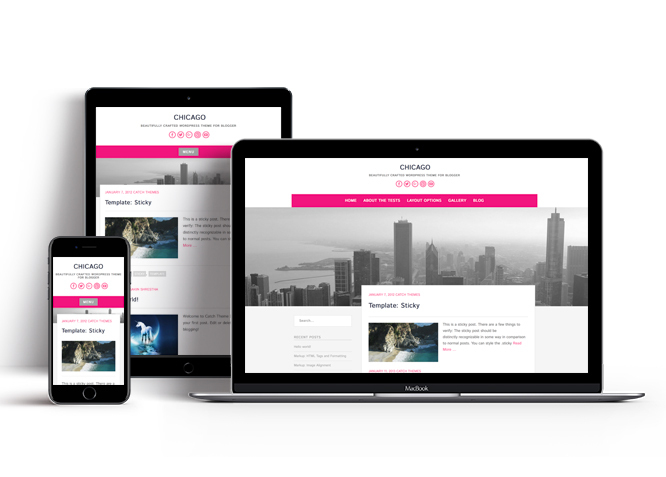 It is based on responsive design where each element has been carefully configured for perfect display on all devices and platforms. 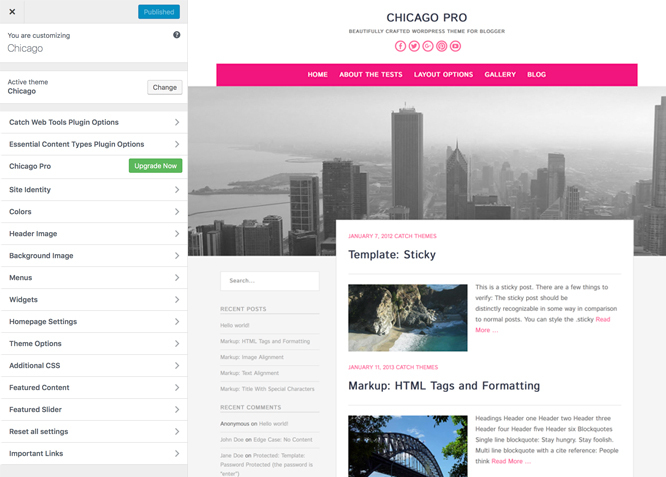 It comes with a wide variety of options so you can modify layout, styling, colors, featured content, promotion headline, featured slider, pagination, icons, menus, breadcrumb, widgets and much more, directly from theme customizer. This theme is translation ready. For more details check out the Theme Instructions.